From the Dottie Rambo Elvis Presley Collection. 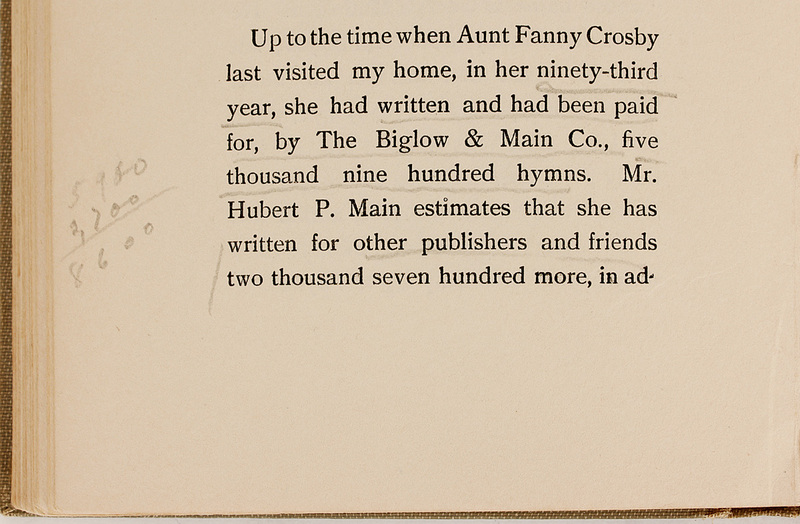 Elvis Presley gave this hand inscribed and signed “Fanny Crosby’s Story of Ninety-Four Years” to singer and songwriter Dottie Rambo. Dottie and Elvis were very good friends, and Elvis recorded some of her songs. 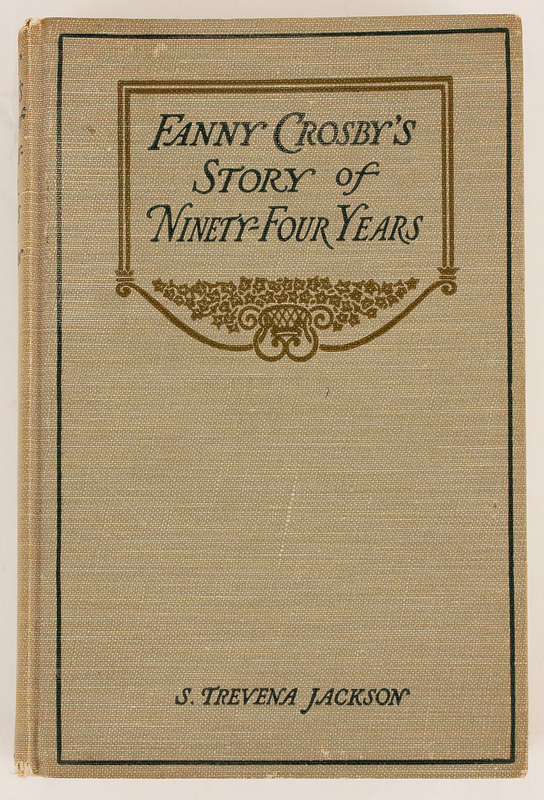 Dottie was frequently compared to Fanny Crosby, and Elvis, who was a fan of Crosby, gifted this to Dottie one day while she was visiting. 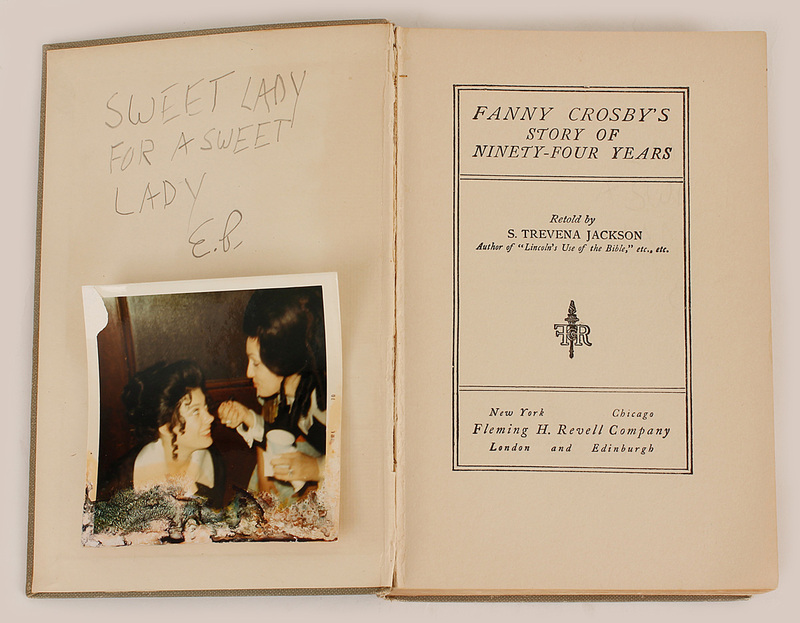 Elvis wrote this inscription and signed his initials on the inside page, "Sweet Lady For A Sweet Lady, E.P." in black ballpoint pen. 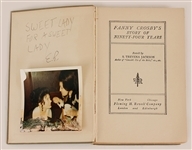 Tucked inside the book is a photo of Dottie and her daughter Reba that Elvis took of them when the two were preparing to go out one evening. The books is in very good condition. Comes with a letter of provenance from Dottie's family and a Comes with a Gotta Have Rock & Roll™ Certificate of Authenticity.